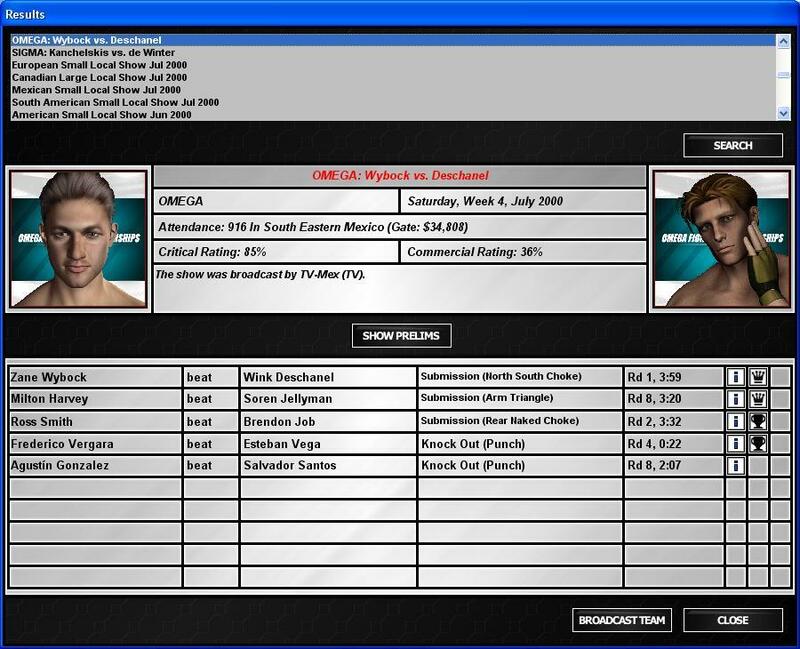 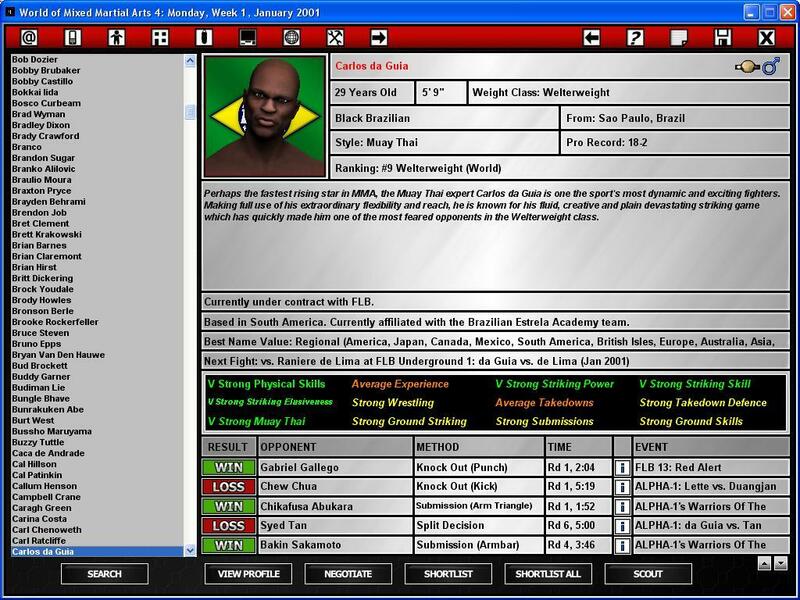 WMMA4 includes numerous enhancements and improvements over WMMA3 including allowing multiple players (up to 8) the ability to control MMA organizations around the world, an enhanced scouting and player negotiation system, revamped fight engine and a more unpredictable and evolving fight environment. 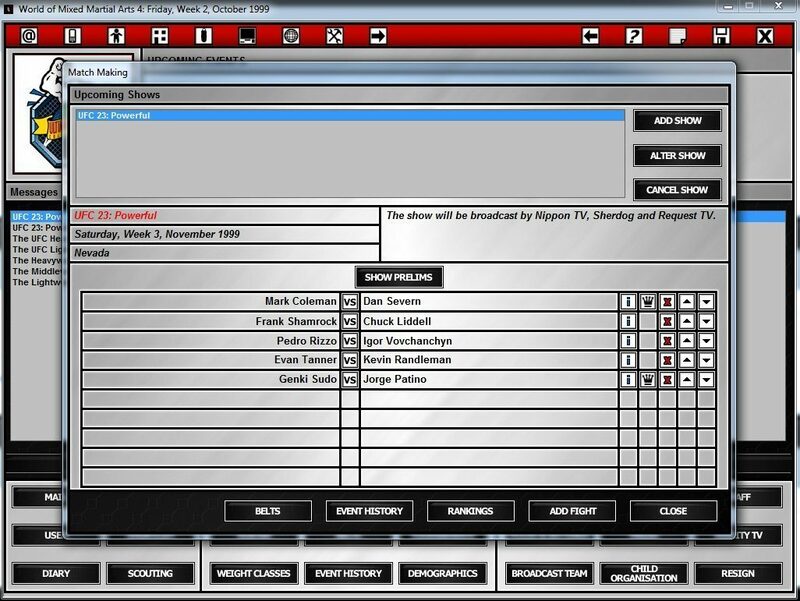 The richly detailed fight engine simulates every battle across the game world and you can choose to watch the play-by-play for as many or as few as you want! 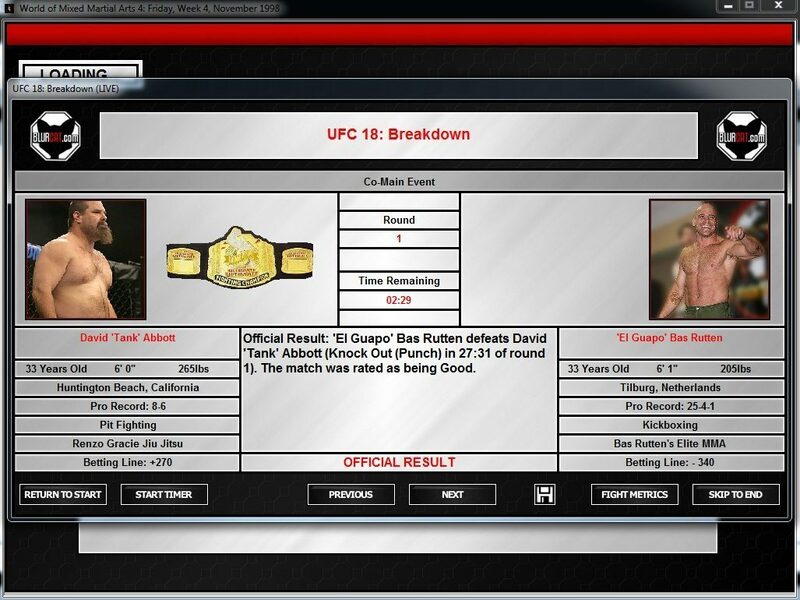 The new 'watcher' system allows you to pick exactly what fights you want to watch, no matter where the happen.